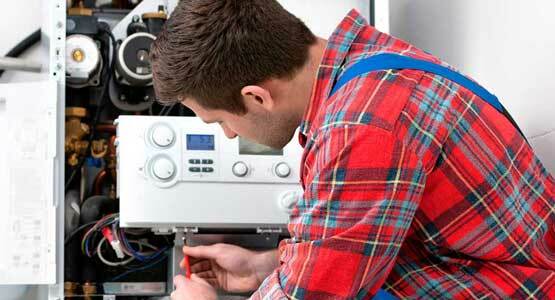 Heating Repair Service Service Las Vegas and Henderson, NV. If you live in Las Vegas, Henderson, or the surrounding areas, it can be easy to forget the importance of a heating system. The sizzling hot sun beats down and brings our homes to unbearable heats. Because of this, AC systems get all of the attention. But outside of the summer months, it is not unheard of to encounter a chilly night or a cool morning. When that happens, you’ll want a top notch heating system keeping you warm. Airria Climate Systems is here to take care of all your heating needs. 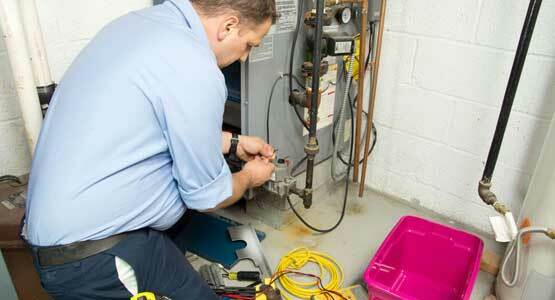 When your heating system breaks down, there are few heating services you can turn to for help. Many companies will only work on AC systems. But Airria Climate Systems is here to service Las Vegas, Henderson, and beyond. 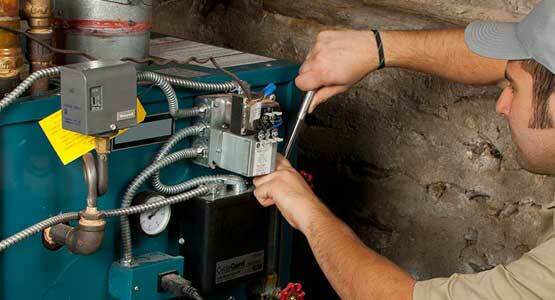 Our technicians are extensively trained in installing and providing maintenance for furnaces. But that’s not all. They’re just as heavily trained in furnace repair as well! We’re the only call that you need to make for heating and cooling services. There are so many different sizes and materials for furnace filters that it can be hard to know which one is right for you. Our heating and cooling services include finding the best furnace filter to extend your furnace’s lifespan and improve efficiency. Our heating services can’t be beaten and our previous clients can attest to that! We’ve been in the industry for decades, keeping Las Vegas and Henderson homes and businesses warm even on the coldest of nights. And we are ready to work for you too. Arria Climate Systems can help you with any heating service repair service you man need. From residential to commercial we can get the heat back on in a timely fashion and many times at a fraction of the cost of our competitors. We know what it’s like. To save some money you wait until the system fully dies to call for a repair tech. But replacing a system can be pricey. It’s actually more cost-effective, and less time-consuming, to call us for repairs rather than waiting until it’s too late. Here are some common signs to look for that point to the need for one of our friendly technicians to make a visit. This is probably the most obvious sign you are experiencing an issue. If a heater isn’t heating, then what’s the point? Another problem within the same category is uneven heating. If one room is heated more than the other, a technician should come take a look. It could be anything from a broken heat pump to a clogged duct system. Our heating and cooling service technicians will identify the problem in no time. When your monthly costs to heat your home or business go up, way more than is normal, your system could be encountering an efficiency problem. This will drain your wallet without keeping your house warm. Call Airria Climate Systems heating and air conditioning service to clean or repair your system and save you money! The name explains it all. Short cycling is when your heating system turns on to begin warming and then quickly shuts off again. This might be a sign of a poorly sized system for the space needing heat, or your thermostat could be malfunctioning. We are the best at heating repair Las Vegas has to offer, so call now! There any number of noises that can mean trouble for your heating system. Grinding, bumping, squeaking, squealing, buzzing, and more could spell disaster. Don’t let it become white noise, get it checked now to save your system from a serious breakdown. Sometimes the heating system is doing a good job of heating the air. But, if the right amount of air isn’t coming out of the system, then it’s just as bad as if it weren’t heating at all. It might just mean a dirty air filter, or the mechanics of your system could experience difficulty pushing the air through the system. Let one of our friendly techs locate the root issue quickly and accurately, so you get it fixed right the first time. Winter times brings with it to Las Vegas chilly weather and dropping temperatures. Is your home or business ready when it arrives? Airria Climate Systems is at the ready to provide heating and cooling services for a variety of spaces and a wide range of budgets. Our heating system service includes repairing broken thermostats, clearing clogged ducts, replacing damaged parts, and more! We don’t want to leave you to the cold, so we can handle any heating repair service needs quickly and thoroughly. And we do it with a smile! No service is complete without regular maintenance. We try to prevent break downs before they occur by offering routine oiling, cleaning, and check ups. In the long run, you’ll save money and have a warmer home without making your system work hard. Regularly scheduled maintenance not only prolongs the life of your heating system but helps it to run efficiently, keeping your bills down. Call for one of our expert techs today to begin your maintenance routine with Airria Climate Systems. We understand you may be the type of person who likes to try a hand at renovation projects by yourself. But if there’s one home improvement job you shouldn’t go at alone, it’s installing a new heating system. It’s a daunting endeavor and takes hours of learning and training to properly tackle. That’s why Airria Climate Systems is proud to include installation as part of our heating services. We take care of the hard and dirty work, so you can sit back and simply wait for that glorious heat to kick in. Las Vegas and Henderson locals can tell you how our services are above and beyond our competitors. Affordability, efficiency, and customer service are at the center of everything we do and we hope you’ll trust your home or business to us. Our heating and cooling services are second to none, so call today to become a valued member of the Airria Climate Systems family. We are experts in heating and cooling service and we are ready to help with your solve any problem related to your home heating service or commercial heating system.